Nearly 4,000 Norwegians had signed a petition as of Friday afternoon that protests the financing of a controversial oil pipeline in the US by Norway’s largest bank, DNB. Several say they’re closing their accounts at DNB, while the bank contends it hasn’t experienced any major customer flight. “Shame on you, DNB!” wrote customer Karen Inga Vars on the petition. Vars, who lives in Tana in Norway’s northernmost county of Finnmark, told state broadcaster NRK that she’ll be among those moving their business to another bank. Vars, like others, object to what the pipeline may do to the natural surroundings as it carries oil from fields in North Dakota through South Dakota, Iowa and Illinois to Chicago. The pipeline will run through Sioux nation territory, and the Sioux fear it will not only destroy sacred burial grounds but also contaminate their water supply. “It’s the negligence regarding the concerns of the indigenous people there that means I can no longer be a DNB customer,” Vars told NRK. 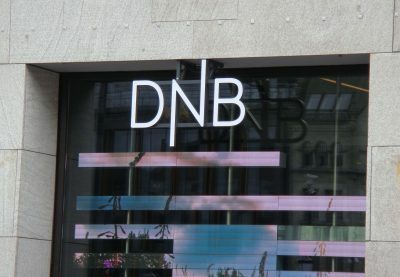 Norwegian players are involved in the pipeline, with DNB one of several lenders on the project. DNB is putting up a total of NOK 2.8 billion (USD 341.5 million) to the pipeline project through three DNB subsidiaries. Norway’s huge sovereign wealth fund, known as the Oil Fund, is also involved in the controversial project through its ownership stakes in the companies developing the pipeline, including Sunoco Logistics and Phillips 66. Norway’s Sami Parliament, also located in Finnmark, has asked the state finance ministry to demand that the Oil Fund withdraw its investment in the pipeline companies. Vars said she thinks the anti-pipeline petition is “a good example of the power of the consumer,” but DNB was downplaying any major customer flight. “We can understand that folks get engaged in a case like this,” DNB spokesman Even Westerveld told NRK. “It’s good that people can use social media to have their say. The future of the pipeline project, meanwhile, remained unclear after US President Barack Obama indicated he may step in to help find a way to re-route the pipeline away from Sioux land. He said he needed a few more weeks to evaluate the situation, which would mean any action would come after next week’s US presidential election.